Andhra Pradesh Road Transport Department has lunched New "RTA Citizen APP" . AP Road Transport Department has providing all Vehicle related Services through this Portal. 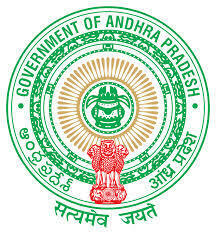 Andhra Pradesh Citizens can avail all Services like as Vehicle Registration, Vehicle - Transfer of Ownership, Pay Road tax online, get Permit online, applicants will also be able to book the slot for LLR ( Learners License ), Fresh Driving licence and can even renewal their exiting driving licence through smartphones.The mobile app is in tune with the State government’s policy of making the administration citizen-friendly using technology. All Vehicle Registration Related Services available through this portal , Below listed Services is present available through this portal. Transfer of Ownership ,Vehicle Stoppage, Vehicle Stoppage Revokation. The query is regarding aprtacitizen.epragathi.org website. Special Numbers registration is allowed between 09;00hrs to 13:00hrs. After 13:00hrs it is not allowed. When verified for available list after 14:00hrs, the following special numbers are shown as available in RTA Visakhapatnam 5151,5252,5353,5656,5757,5858,5885 which should be available for next day. When I checked once again at 17:00hrs again, all these special numbers are blocked with blue colour. How is it possible? There is some loop in this system and it is not a transperent. Public is made fools. This needs thorough examination by the competent authority and ensure the confidence on Govt systems.